Glucosamine is nothing but a combination of glucose and glutamine; more fundamentally, it is a mix of sugar and amino acid. It is a vital source of nutrient for your dog, and it is essential that you make it a habit of introducing foods that contain glucosamine which can strengthen the cartilage in your dog’s joints. Just like the bones and cartilages of humans become weaker as they age, the glucosamine content in the dogs get lower, and the joints start to stiffen and they lose their shock-absorbing cartilage. It keeps joint pain and stiffness away from your dog. Glucosamine is known to have natural anti-inflammatory properties that help to keep all the joint pains away. In addition to reducing the joint pains, glucosamine is also useful in improving the mobility of your dog. As your dog starts to age, you will notice that it loses its natural agility and flexibility. Once you start giving it supplements that contain glucosamine, the aging process of your dog will slow down. It repairs the cartilage of the dog and is also responsible for producing new cartilage. Glucosamine combines with collagen to produce new cartilage that acts as a shock absorber. Since the lubrication in the cartilage improves, your dog will be more comfortable while moving around. These are rare but very helpful for your dog because they contain a high source of chondroitin and glucosamine. A little bit of this glucosamine will ensure that the joint pains in your dog will go away quickly. In addition to pigtails, there are several other sources of glucosamine such as necks of ducks, ducks feet, ears of pigs, the neck of lambs, and turkeys. 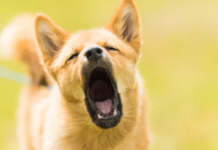 Although these may not be available in the raw form, you can be assured that the supplement manufacturers use them because these are the core elements that can make the glucosamine highly effective for your dog. Many dog owners feed pig ears, poultry feet, and pigtails to their dogs directly. If you are also planning to do the same, then you need to keep an eye on your dog for symptoms of an upset stomach. That is why it is better to give them capsules that already contain the pure form of these ingredients. 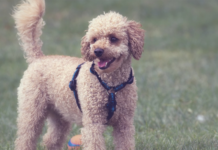 Glucosamine will make sure that cartilage of your dog will get repaired and there will be new cartilage so that it can move around freely without any kind of pain. Even a 30 gm chunk of beef trachea will contain more than 1400 mg of glucosamine. This will be a fantastic introduction to your dog’s diet. If your dog has joint pain or arthritis and there is always a sense of discomfort, then a medium-sized chunk of beef trachea will be great for your dog. 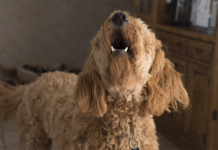 Most of the supplement manufacturers make sure that there is an adequate portion of the beef trachea in the supplement so that the discomfort in your dog eases after some time. Moreover, if your dog can chew on the beef trachea, then there will be additional benefits too. Apart from the reduction of joint pains, it will become a well-balanced treat that will keep your dog healthy for an extended period of time. Chicken feet have the highest content of cartilage that is very essential for your dog. That means it has a lot of glucosamine in it. In fact, researchers are of the opinion that a single chicken foot contains 450 gm of glucosamine and that is like a hub for your dog. Most of the supplements that are meant for dogs have chicken feet in powdered form. This is because chicken feet are an excellent source of glucosamine and you can also use it to brush the teeth of your dog. 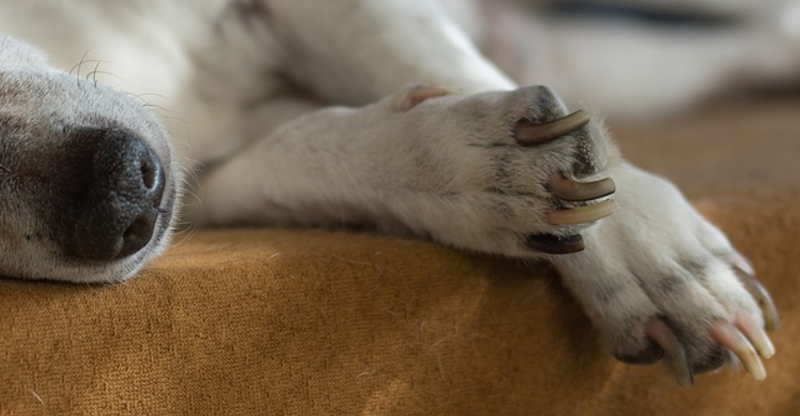 If you use the powdered form of chicken feet or rather the supplement that contains chicken feet, it can be used on the teeth of your dog as well. You can also give raw chicken feet to your dog that it can chew and gnaw. This will allow it to absorb the glucosamine and the cartilage will strengthen after a few days. 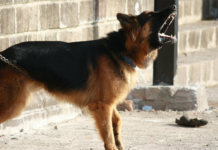 In addition to strengthening the cartilage, your dog’s teeth will also remain healthy. Chicken feet are widely available in butcher shops, grocery stores, and poultry farmers. These are some of the best sources of glucosamine that the supplement manufacturers make use of. Since the supplements are available in either powder or pills, it is not always possible to understand the exact ingredients. 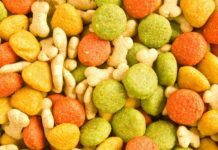 But when it comes to glucosamine, you can be guaranteed that these will be used along with several other ingredients to make the supplement tastier and healthier for your dog. So, before you buy fish oils for any supplement, make sure that you check the ingredients column and see if it has glucosamine as the primary ingredient.